White badge reels with a vinyl strap and belt clip. 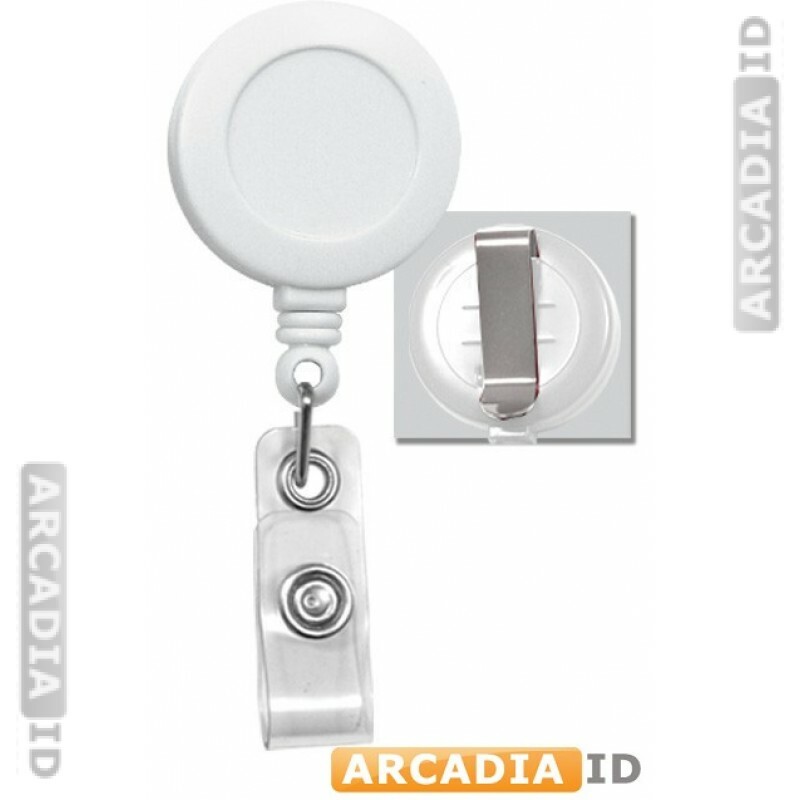 These look clinical and clean and are well suited to any medical or scientific organization. Fast delivery on every order.